Lauren founded Locker Financial Services, LLC in 1992. During her years in business, she has fulfilled her dream of helping people better understand how their money can work for them. Lauren is an independent Certified Financial Planner™ practitioner. She is a proud member of the National Association of Personal Financial Advisors (NAPFA), having served as 2012-13 National Chair and as past-president and past-chair of the Northeast/Mid-Atlantic Region. Lauren holds a B.A. degree in Business Administration from William Paterson University. As a CFP® certificant and NAPFA-registered advisor, she engages in on-going continuing professional education to ensure that her skills are current and relevant. Locker Financial Services, LLC is a Registered Investment Advisory firm. Besides running a busy practice, Lauren is an active alumna of William Paterson University, where she is a member of the Board of the William Paterson University Foundation. She has been an adjunct instructor at WPU’s Cotsakos College of Business, teaching personal finance skills to undergraduate students. 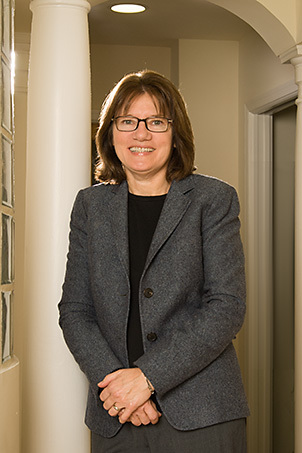 She has also participated in WPU’s Pesce Family Mentoring Institute, providing one-on-one support to students who are preparing to enter the job market. Lauren enjoys doing educational presentations for a variety of professional, community and civic groups and is a popular guest speaker. She has served as a panelist at the New York Times and The Record, and has spoken to student groups at Yale University and other colleges and universities in the tri-state area. Lauren is a member of the American Society on Aging. In her spare time, Lauren likes to visit Cape Cod’s beaches and golf courses. Closer to home, she fiddles with watches and other machinery to see how things work mechanically. She’s accompanied on all of her adventures by her miniature schnauzers, Sargent Pepper and Abbey Rhoades, both rescue pups from Cabo Rojo, Puerto Rico.